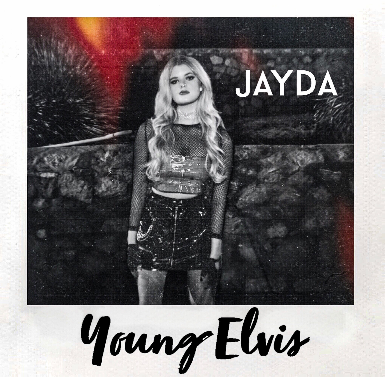 The attraction of the “Bad Boy” is something that many women can hardly resist, passionate Pop singer-songwriter dives into this head on with her infectious new song “Young Elvis”. Listen to “Young Elvis” HERE. Visit Jayda’s Official Website HERE. Like it or not, it’s quite clear that attraction is often very much not a choice and many “good girls” find their hearts racing over guys who are living a little too far on the edge. Rising 18-year-old Austin pop singer-songwriter shows wisdom well beyond her age in her hot new song “Young Elvis”, where a set of Instagram photos of a “bad boy” who looks like Elvis in his prime inspired her to explore a fantasy story of the two having a relationship and all of the challenges and drama, plus excitement, that would likely come along with it. All delivered in Jayda’s emotional vocal style that draws listeners into her world and her lyrics that inspire deep thought, in this case on an important subject many young and grown women alike find themselves caught up in real life, for better or (often) for worse. In her young-career Jayda has shown a huge amount of versatility in the topics she’s covered all while maintaining a pop-style and image that’s certain to draw more and more fans to her work. Raised in the musical mecca of Austin, Texas, and open-minded enough to draw influences from a wide range of areas, while working with some of the music industry’s elite, including Grammy-winning Producers, Jayda may be poised to become the next pop household name nationally or even worldwide. Music fans won’t want to have missed her breaking into the scene in such an inspired and energetic way. 2019 will see her touring and connecting with her fans she loves so much live. Stay tuned to her Instagram here for Jayda’s latest and most up-to-date photos and news. Jayda is the next breakout pop artist. 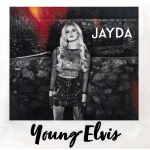 Jayda has worked alongside Grammy Award-Winning producers: two-time Grammy Award-Winning Producer, Chad Carlson (Taylor Swift), nine-time Grammy Award Winner, (Tom Coyne), and Ryan G. Clef. She has studied dance, writes, & performs her own music and she\’s only 18-years old. Jayda spent most of her life growing up in the “Live Music Capital”, Austin, Texas where music was always a part of her family. Her great grandfather RT Rea was a singer and would play both the guitar and harmonica when she was young. Her grandma Necia Rea was a church choir leader. “I write pop music because the music is so upbeat and energetic, and I love to dance,” Jayda explains. When Jayda’s not making music, she enjoys spending time with family and volunteering her time with several charities and organizations helping women and children.